In a post I have written last week, I mentioned the special anti-shampoo I have been using for a couple of months. It is called Purely Perfect Cleansing Creme and it represents the new way to wash your hair. Normally, I’m a huge hair product junkie, I usually try and use more products in the same time, though lately I have been using only this special un-shampoo. And I am so happy to have found it! All shampoos contain detergent. It doesn’t matter if they are sulphate-free, paraben-free, or what they cost; detergent damages hair by stripping it of natural oils, creating frizz, dryness, and depleting color. Hair is left perpetually thirsty and dependent on conditioners to soften it. Plus, the scalp constantly produces oils to compensate, and hair can quickly become greasy. This wash skips that first step, removing dirt and oil gently with essential oils that also smooth the hair. Even if I knew it was not supposed to foam, the first time I used it, I massaged it vigorously trying to force a lather. I never succeeded. Instead the Cleansing Creme worked its magic and afterwards my hair was less fluffy, better hydrated, and less frizzy. And it is meant to replace your conditioner, too. And it does a great job. Since transitioning to organic and non-toxic beauty products, I haven’t tested too many products from this range, but Purely Perfect Cleansing Creme is a hidden treasure. Together with the Smooth Finish and the Foundation Creme they make your hair look like you just left the hairdresser. My hair is light waved, and with other products I had to work a lot to make it more or less curlier, depending on my mood, but with Foundation Creme and no hairdryer I had the greatest curls – after all, they do promise ‘styles that look as if they “just happened.” ‘. With Smooth Finish my hair was very well protected from the heat and it has given me a WOW volume – no hairdresser visit, I kept repeating the first time I used it towards my amazed – and, yes, a little envious- friends. I ended using both products: Smooth Finish to set my hair and then Foundation Creme to detail and add texture. The jeweled flats have been hard to miss this season. They can be spotted everywhere from the red carpet to the city streets and our feet are jumping for joy. and everything in between, now there is the best excuse to spare your feet from heels. 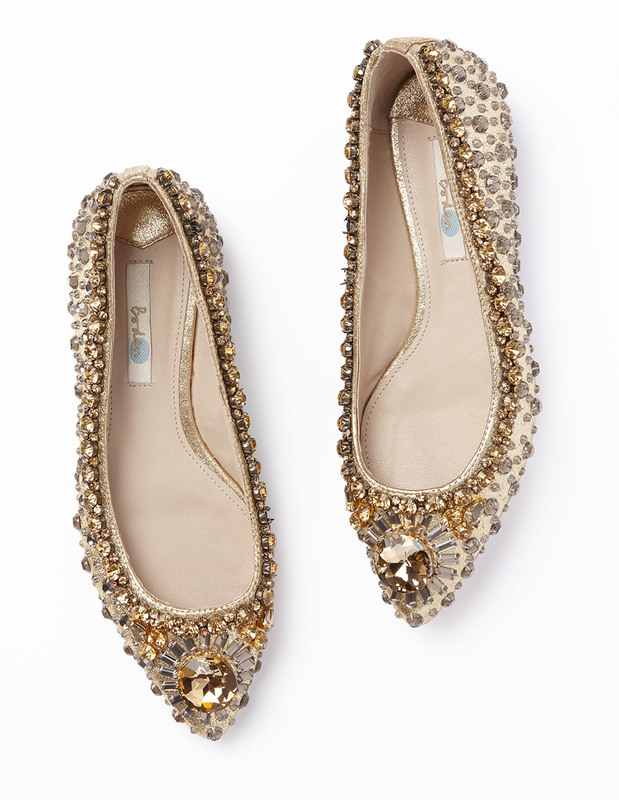 Use the jeweled flats to add a little glam to your daily outfits.